The lowest part of the temporal crest – medially. Via the external oblique ridge – laterally. 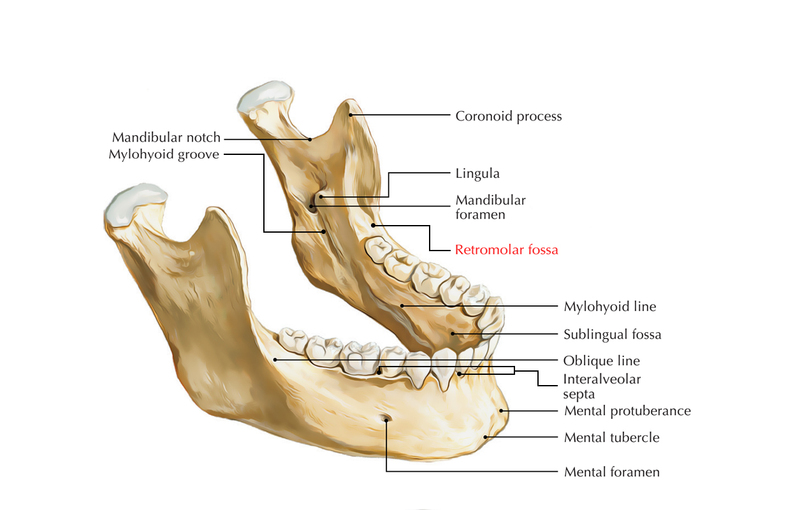 The retromolar triangle is a three-sided zone which is located posterior/distal towards the third molar tooth, where the retromolar fossa is located in the centre. The buccinator muscle, which is a sack-like muscle of cheek, has its posterior-most fibers inserted on a slight rim of bone known as the buccinator crest inside retromolar triangle.